Another view of the MT824 thumb installed on the Kubota L39 mini backhoe moving stones. MT824 mini thumb moving stones installed on a KUBOTA L39 mini backhoe. RARRRRRGH! 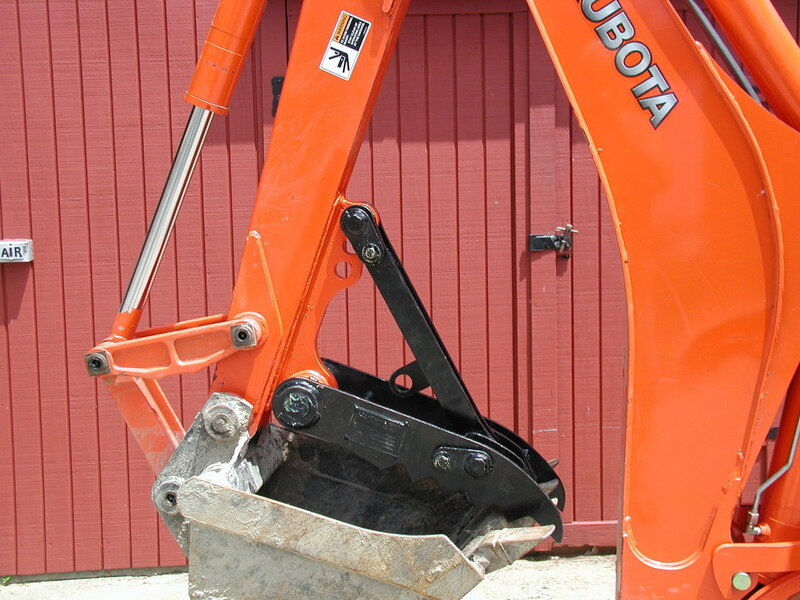 The Kubota L35 tractor backhoe with a MT824 thumb from USA Attachments. MT824 excavator thumb on DEERE 25 mini excavator loading a dump truck. Aerial view of MT824 thumb on a shipping pallet.